Rainy days in Florida bring visitors flocking to WMODA. 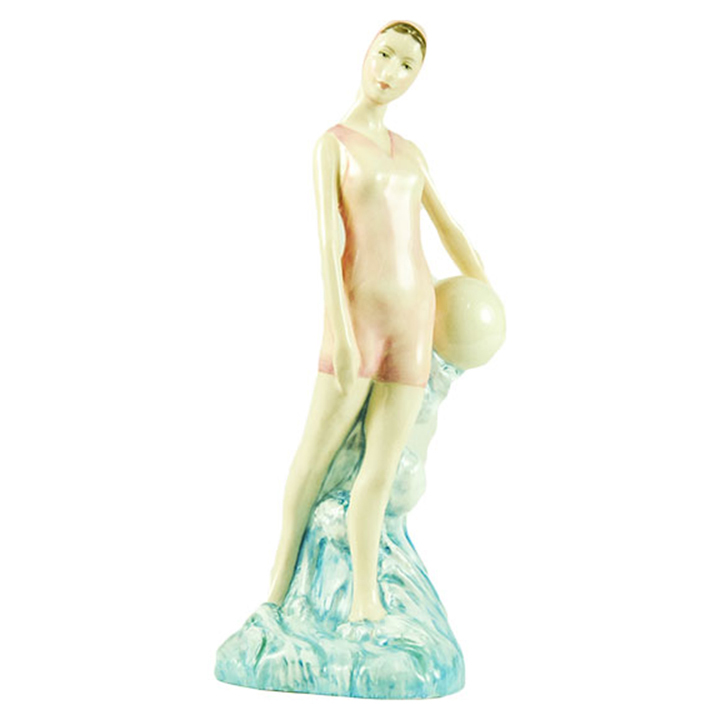 When you can’t sunbathe in your new swimsuit you can enjoy the beach fashions of your parents and grandparents in our Art Deco gallery at WMODA. 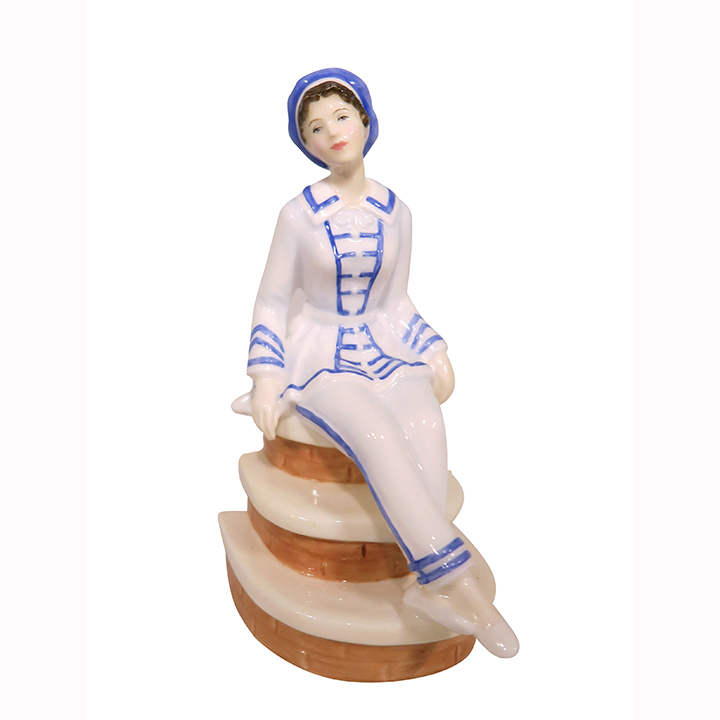 Porcelain figurines by Royal Doulton, Rosenthal and Goldscheider depict the swimming costumes in vogue during the 1920s and 30s. 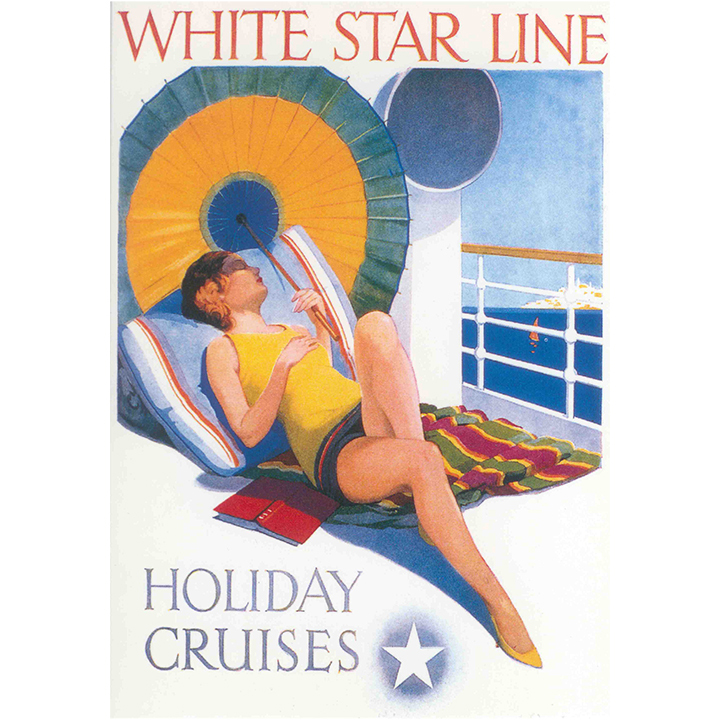 Sun bathing at the seaside became a fashionable leisure activity in the 1920s and a glowing bronzed skin was in vogue after centuries of cultivating a pale complexion. 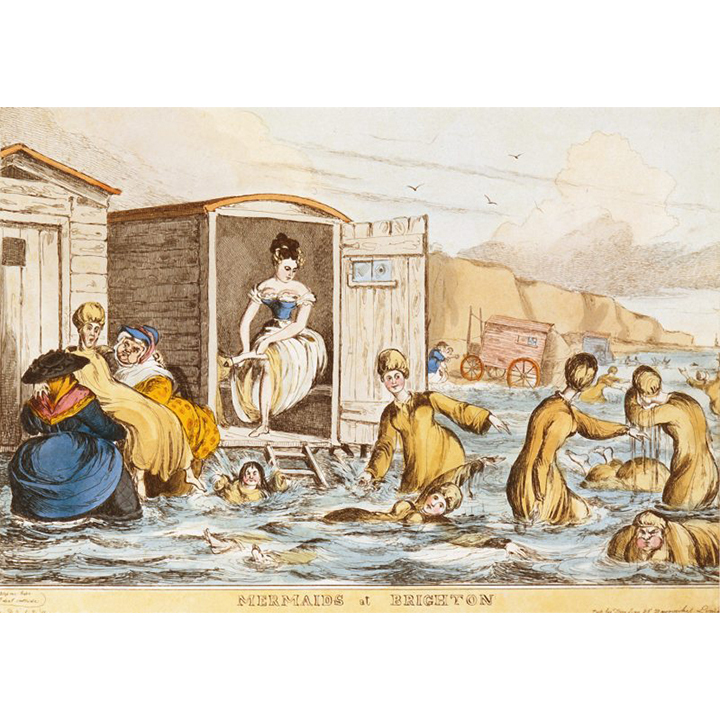 Victorian women appreciated the health benefits of sea bathing but they immersed themselves in the water, covered from head to toe. 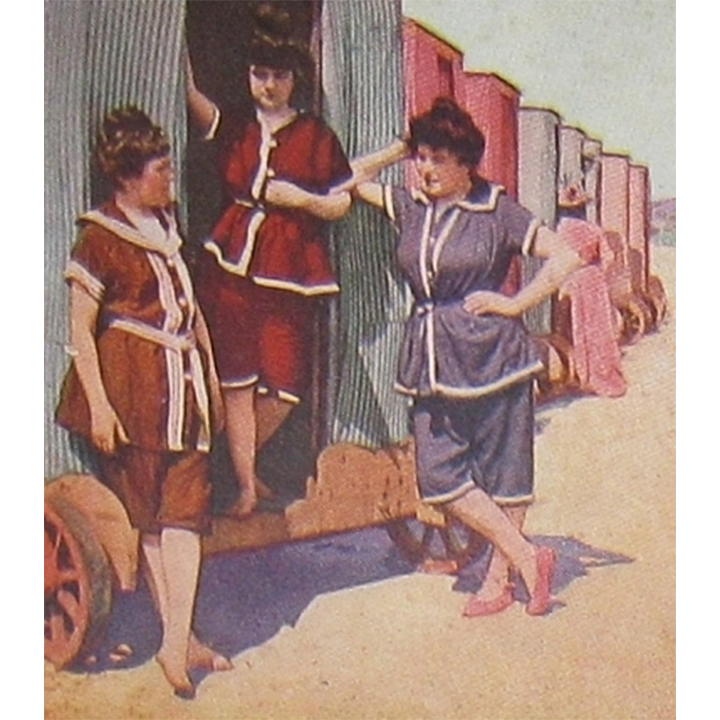 Strict etiquette prompted the use of horse-drawn bathing machines - four wheeled carriages, which were rolled into the surf to protect the modesty of the bathers. 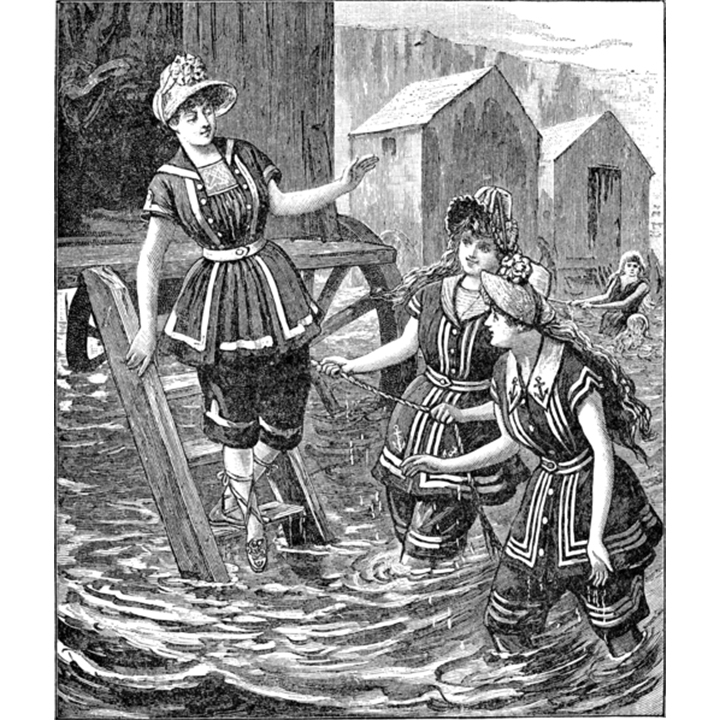 Bloomers, which were popularized for health reasons by Amelia Bloomer in the mid-19th century, were modified for bathing and worn with tunics. However, they were made from a heavy flannel material that weighed down the wearer. 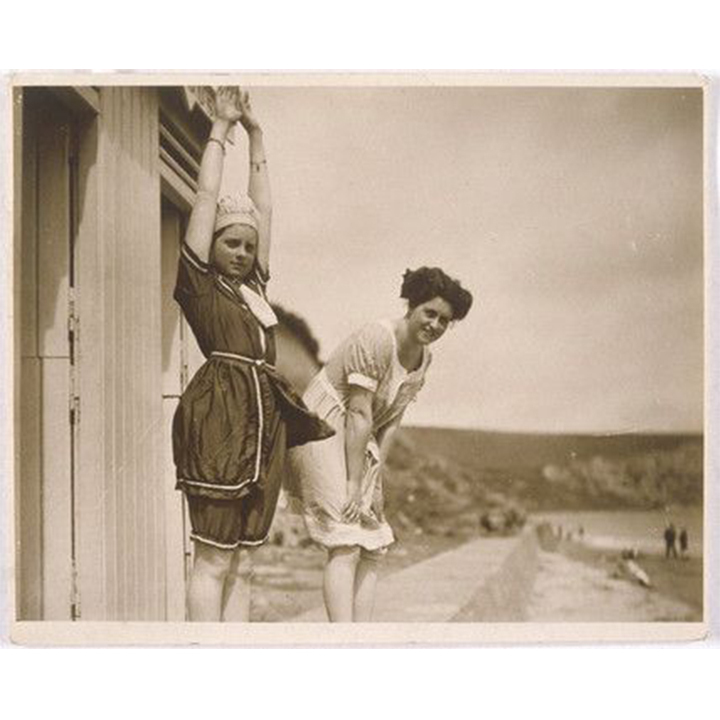 Mixed bathing became socially acceptable in the early 20th century and the younger generation abandoned their mother’s voluminous bathing dresses and sported new figure-hugging swim suits. 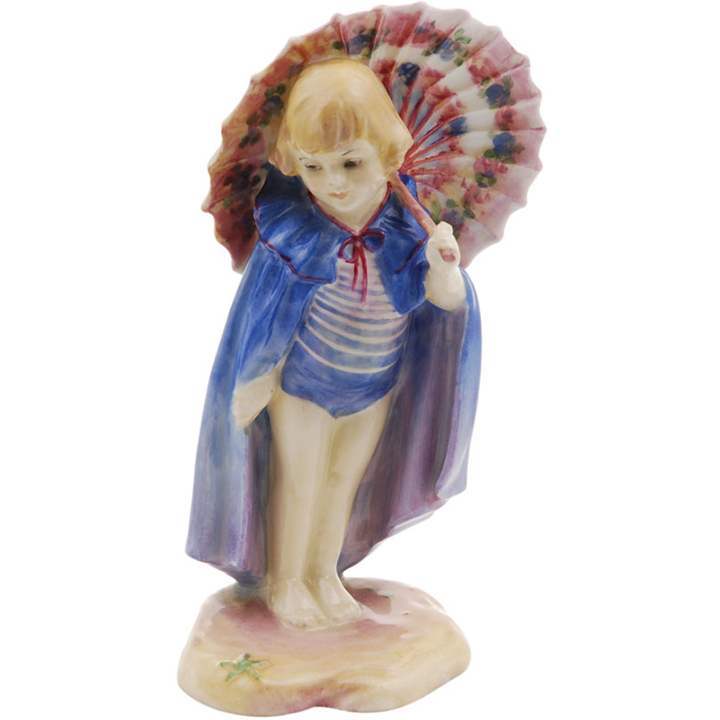 When these one-piece costumes first appeared in the early 1900s, they caused outrage. 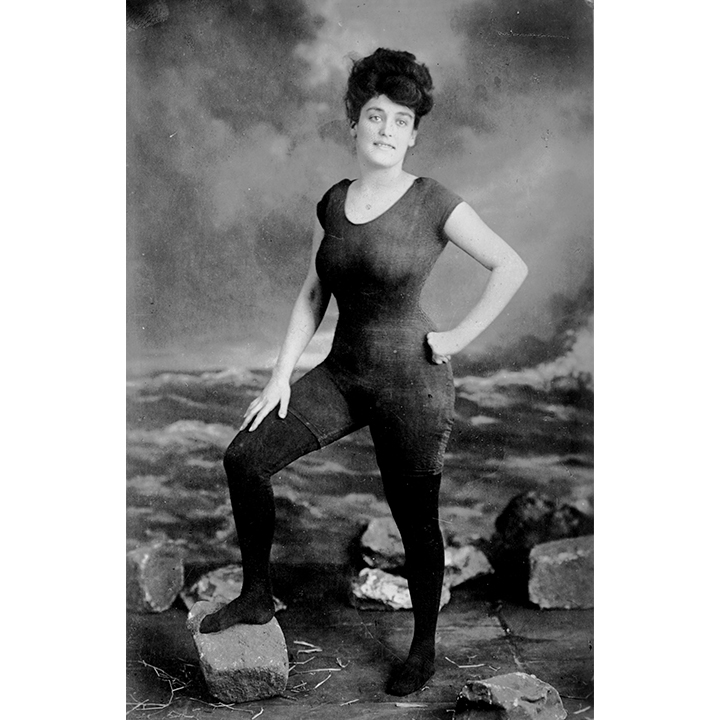 In 1907, Annette Kellerman, the first woman to swim the English Channel, was arrested in Boston for her indecent attire. In 1915, Jantsen, the Portland Knitting Company, introduced swimming suits made of wool and their sleek red diving girl logo conjured up the spirit of the jazz age. 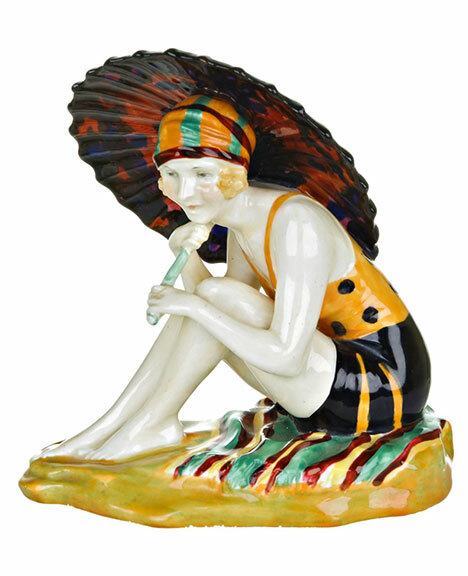 Royal Doulton’s leading sculptor, Leslie Harradine, lived through the roaring twenties and glamorous thirties, portraying sun seekers lounging at the lido in revealing bathing suits and beach pajamas, which shocked the older generation. 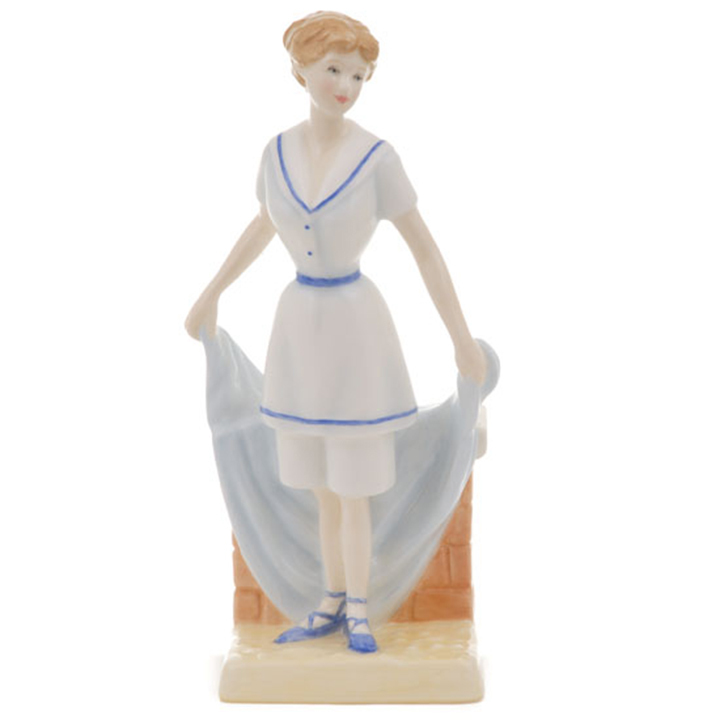 Pajamas, which are now worn only at bedtime, were fashionable seaside wear in the 1920s. 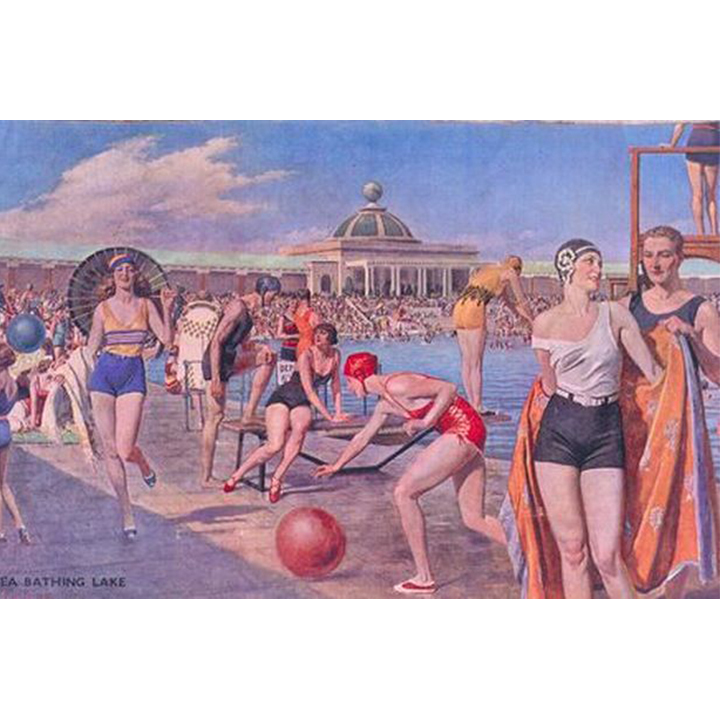 The famous Venice Lido was advertised in 1927 as “the beach of sunshine and pyjamas”. 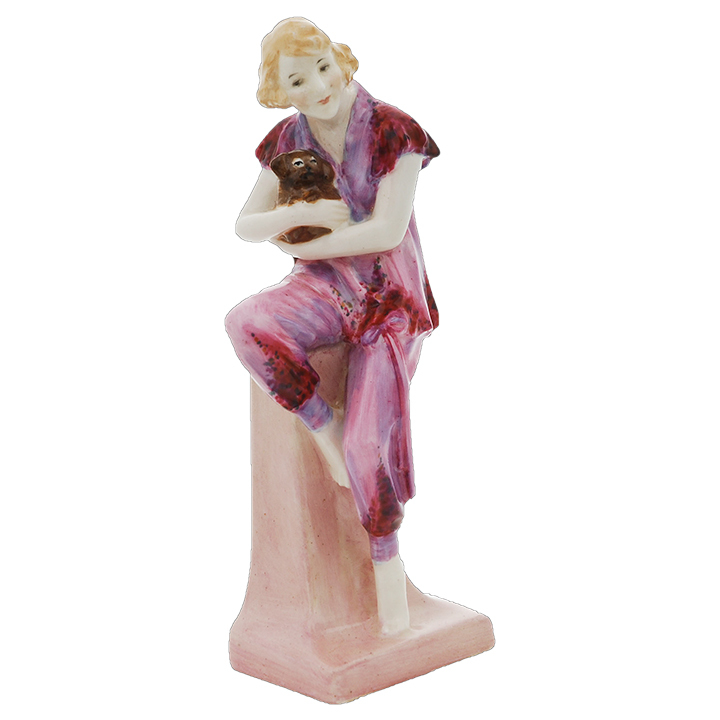 Derived from the Hindi “paejama” meaning “leg covering”, pajamas had been established nightwear for men since the Victorian era but it was very adventurous for women to wear trousers of any kind until the 1920s. The bikini made its appearance in 1946, supposedly named after the atomic tests at Bikini Atoll in the Pacific Ocean. The new two-piece swimsuit was designed to have an explosive effect on the beach and didn’t become widespread until the swinging sixties. There’s nothing new under the sun, as they say. 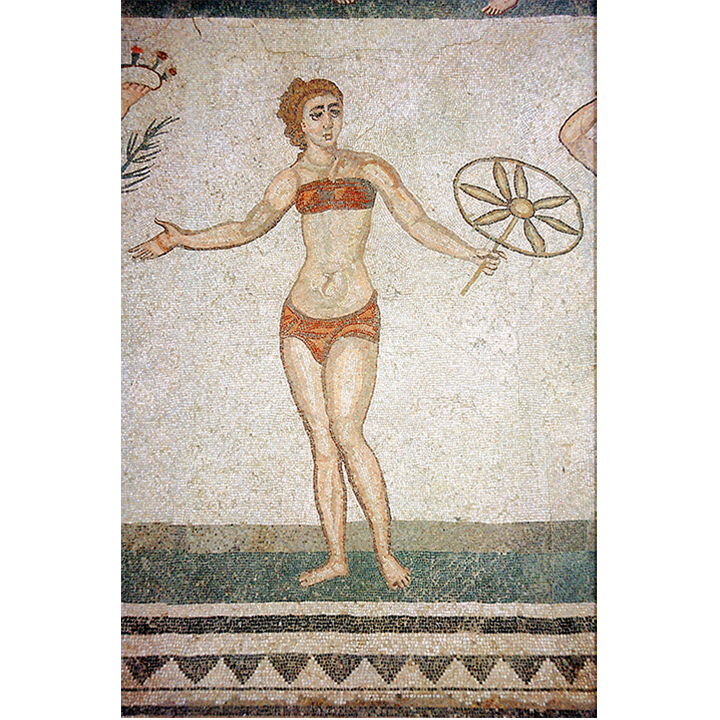 Sicilian women were wearing bikinis in the 4th century as can be seen in the mosaics at the Villa Roma de Casale. We have no porcelain figurines wearing bikinis at WMODA although we have had glass bikini tops by Chelsea Rousso modeled during our events. Also, Ardmore fans will be interested to know that Hermès of Paris now makes bikinis and swimwear with Ardmore designs. Get into the swim at WMODA this summer!